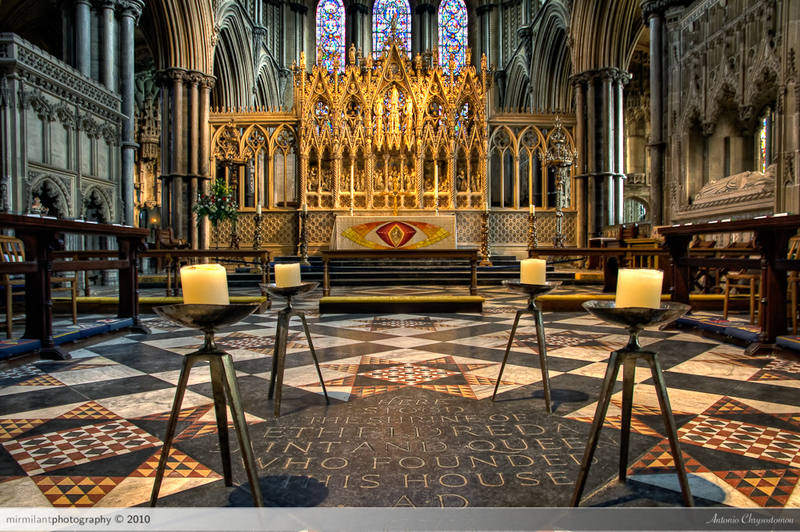 An interior of the altar at Ely Catherdral in Cambridgeshire, England. Very diverse lighting conditions so I took three images 2EV apart and HDR’d them in Photomatix, punched up in Nik’s Color Efex and tidied up in Lightroom. very nice hdr. I love photomatix, and sadly i have let it sit on the shelf. I need to do more. Hi – yes, it is fun. Thanks for your comment. Is it me, or is this picture sloping?